Mayumi could not change her past, and her scarred skin would never be the same as before. To Sabbath School teachers: This story is for Sabbath, Aug. 18. Mayumi [pronounced: may-UMI] is one of the most influential Seventh-day Adventist women in Japan. But she nearly wasn’t. She nearly died twice before the first grade. Mayumi grew up with an alcoholic father and a mother who suffered mental illness. Neither kept an eye on the little girl, and she twice knocked a kettle filled with boiling water off the stove—first at the age of three and then again at age five. Both times, hot water drenched her body, leaving her with permanent scars. “God saved my life twice,” Mayumi said. When she was nine, her mother disappeared, never to be seen again. Mayumi’s first glimmer of hope came in the sixth grade. An American moved next door and taught her to speak English and read the Bible. She couldn’t believe her ears when she read the Golden Rule in Matthew 7:12, where Jesus said, “Therefore, whatever you want men to do to you, do also to them” (NKJV). It was then that the idea began to form in her mind that she would take care of children. But several difficult decades passed first. She married at the age of 21 and divorced 10 years later. She became an alcoholic and a heavy smoker. She tried to commit suicide. Then she remarried at 38 and began to build a new life. She was horrified at what she saw when she began working at a day-care center. The day-care center set strict rules, and desperate parents had to work around them. A turning point came when the day-care center rejected a one-year-old baby with a fever. The mother was desperate to return to work because she wasn’t allowed time off. The next morning, the mother returned and pronounced the baby well. Mayumi couldn’t understand how the child had recovered so quickly. She found the answer when she changed the baby’s diaper. The mother had inserted a suppository to keep the fever down. The day-care center, located in Mayumi’s home, was open 24 hours a day, year-round. Five hundred families flooded her with applications for the 10 available spots. It was 50 times the number she could handle. If a child had a fever, she sent a babysitter to the child’s home so the other children wouldn’t be infected. While Mayumi was taking care of other people’s children, she was having trouble with her own. She had two daughters, and the younger child refused to go to her fourth-grade classes. The daughter complained that the public school teachers called her “stupid” and punished her by hitting her on the shoulder or arm. The music teacher once struck her on the head with a tambourine. Mayumi looked for other school options and found an Adventist school nearby. Her daughter quickly adapted to the new school and, several years later, was baptized. Soon Mayumi, her husband, and their other daughter were baptized as well. After being baptized, Mayumi began to change. Once overweight, she became trim and fit. She was happy all the time. Friends, parents, and even former day-care children asked her what had happened, and Mayumi boldly told them about Jesus. Because of her influence, about 30 of her former day-care children, now teens and young adults, are studying in Adventist schools today. “I advised my former babies to go to Adventist schools long after they had left the day-care, and many agreed!” she said. About 45 of her former day-care children and their parents have been baptized over the past four years. That’s more baptisms than many pastors have had in Japan! 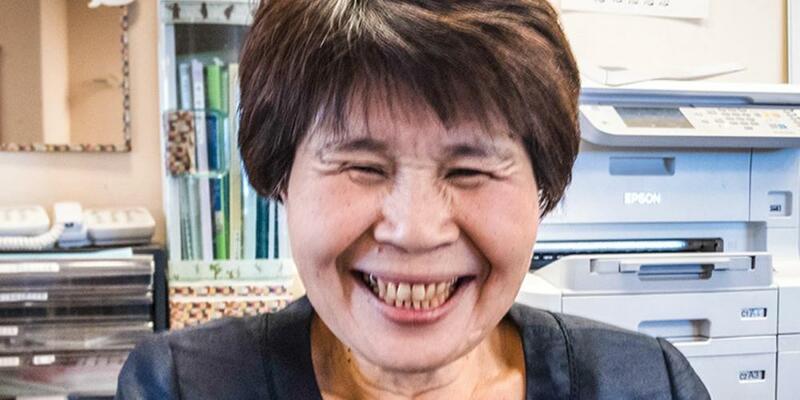 Today, Mayumi and her staff run a large Tokyo day-care center with 50 children, mainly from non-Christian families. Next, she plans to open a lifestyle center for children with mental challenges such as ADHD and Asperger’s Syndrome. How do we use our influence? Let’s pray for a gentle boldness, like Mayumi’s, to win people to Christ.